The NovaKnit is an absorbent, deceptively tough mop for cleaning and liquid pick-up in controlled and critical environments. The unique ribbing of the strands produces a mop that is both low linting and absorbent. The NovaKnit is available in two fabrics, 100% Polyester (MP52-31-12W) or a Polyester/Nylon Blend (MP53-31-12W) for applications requiring greater absorbency. 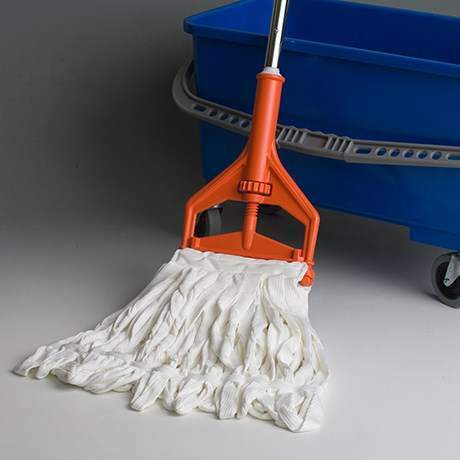 The solid construction of the mop, combined with the durable fabrics allows the mop to be used with strong disinfectants, laundered and re-used. The NovaKnits hold up to autoclave and are available irradiated. The NovaKnit Series can be used with the MH-1 Mop Handle or attached to the Universal Stainless Steel Handle via the QDMH-1 Mop Adapter.